The VN Index on the HCM Stock Exchange pulled back from a four-day increase on February 16 as shares were hit by strong investor selling to earn profits. The benchmark stock index dropped 0.3 percent to close at 709.35 points. It had rallied a total 1.6 percent in the previous four sessions. 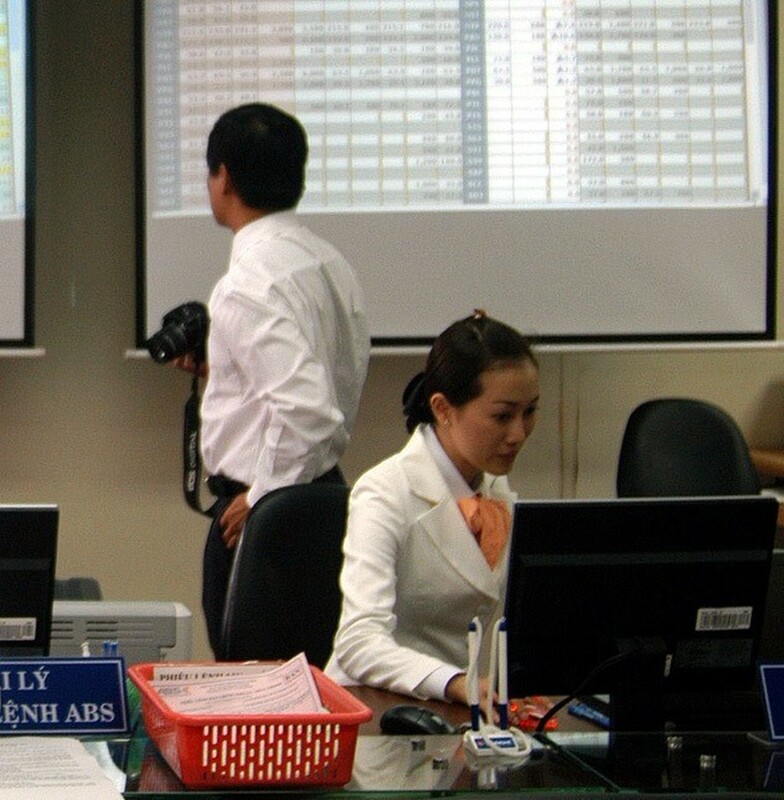 More than 198.4 million shares were exchanged on the southern bourse, worth 3.68 trillion VND (163.9 million USD). February 16's trading figures rose 17.4 percent in trading volume and 9.3 percent in trading value compared to February 15. The market condition was negative, with 132 declining stocks against 112 advancing ones, while 59 stayed flat. Leading sectors such as banks, energy firms, securities companies and property developers all declined. Sixteen of the 30 largest stocks by market capitalisation in the VN30 basket suffered from profit-taking, including Bank for Investment and Development of Vietnam (BID), Vietcombank (VCB), real estate corporation Vingroup (VIC) and IT group FPT Corp (FPT). BID slid 2 percent from a two-day gain of 3 percent and VIC slipped 1.1 percent after rising 4.7 percent in the previous two sessions. VCB and FPT dropped 1 percent and 1.5 percent, respectively. Other smaller companies in the VN30 basket that had made consecutive gains in the previous days, such as the two steelmakers Hoa Phat Group (HPG) and Hoa Sen Group (HSG), also reversed direction. Mid-cap and penny stocks were also hit by profit-selling. Hoang Anh Gia Lai Agriculture International (HNG) edged down 0.4 percent from a four-day jump of 13 percent. 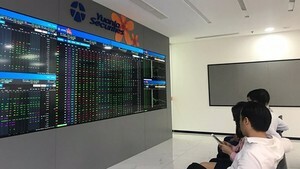 “The market was hit as investors increased selling in afternoon trading after they saw the VN Index rise strongly in the early session, hitting a fresh nine-year high of 717 points,” BIDV Securities Corp (BSC) said in a note. However, February 16's fall was not a negative sign for the market because market trading liquidity was high, proving that investors are staying around to look for more investment opportunities, BSC said, predicting that the VN Index will rise to test the level of 720 points. On the Hanoi Stock Exchange, the HNX Index lost 0.8 percent to end at 85.65 points. The northern market index closed up 0.1 percent on February 15. More than 60.7 million shares were exchanged on the northern bourse, worth 568.5 billion VND.